Live the Victory, Inc. (dba The Matthews House) is a registered 501(c)(3) organization. 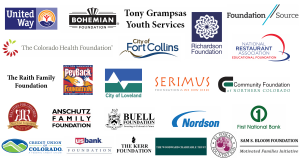 We are governed by a local, all-volunteer Board of Directors and are audited, each year, by an independent accounting firm. The Matthews House maintains the highest standards of accountability and transparency and has been awarded the Platinum Seal of Transparency— GuideStar’s highest level of recognition.